Beautiful scene, delicious specialties, cheap cost, friendly people … are the main reason why visitors to Binh Dinh are increasingly crowded. 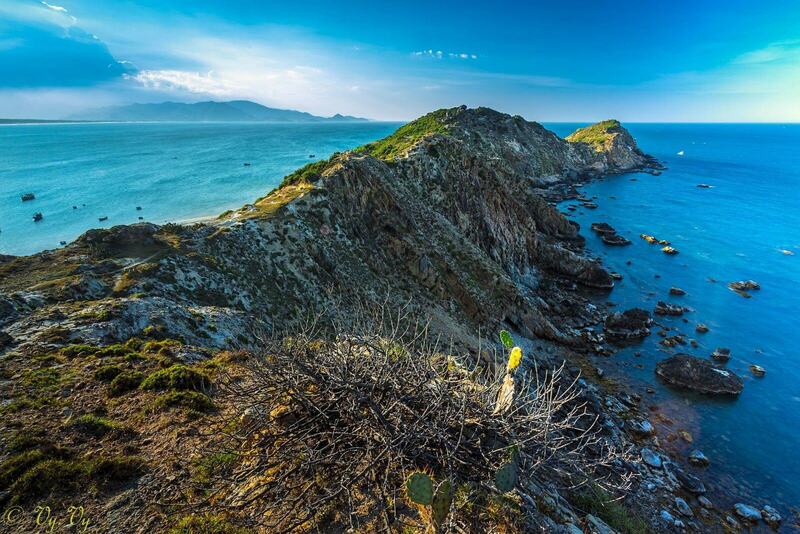 Located in Nhon Ly commune, about 20 km from Quy Nhon city, Eo Gio is a tourist destination that anyone to the central coast city wants to visit. The name Eo Gio derives from the geographic shape of this area. If you stand on top of the cliffs and look down, you will see a small channel covered by mountains like an arm embracing the beautiful beach. 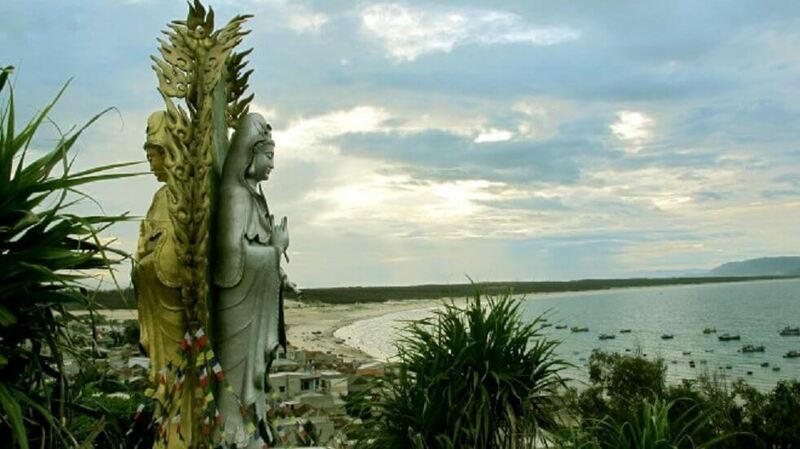 Nearby the famous Eo Gio is famous Ngoc Hoa Monastery with the twin statue of Buddha Quan Yin, which has attracted many visitors because of its size and majestic beauty. The statues have a height of up to 30m, turning south and north. The South is the yellow statue and the North is the silver statue. The body of the double statue is hollow, consisting of several floors. The monastery and Buddhists placed inside 2,000 small statue of Quan Yin. The statue features characteristic of many other Buddhist countries: Tibetan (eyes), India (the devastating fire of Shiva), Cham Pa (fresco), Chenla, and especially the body features Vietnamese figure. Ky Co is more or less still retain the wild beauty. With fresh climate, beautiful scenery, local people are always friendly, hospitable, Ky Co is the ideal choice for you to enjoy a happy holidays. 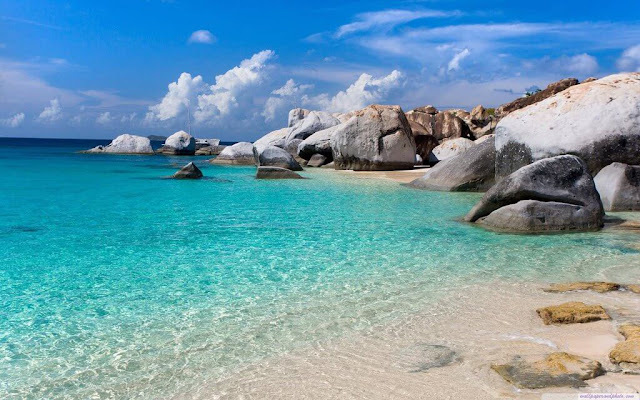 When you set foot on the island, in front of your eyes is a white sandy beach stretching and high rocky mountains. The rocks with many different shapes and sizes pile up and stretch away to the horizon, the cliffs heading out to the sea to create both majestic and poetry scenery. 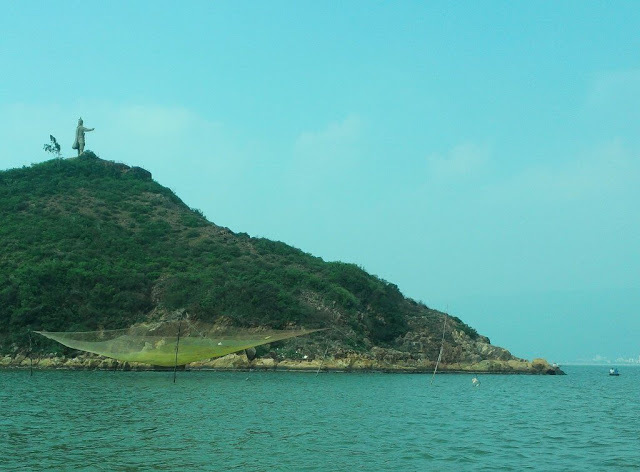 Hon Kho (Dry Island), is one of 32 islands located near the coast of Binh Dinh Province, about 16 km from Quy Nhon city center, in Hai Dong Village, Nhon Hai Commune. This is also a relatively new tourist destination with many visitors. 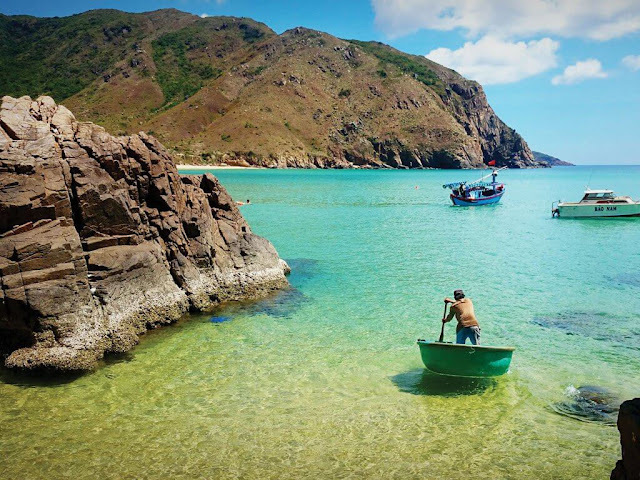 Come to Hon Kho island, there are two exciting experiences that visitors can not ignore: diving underwater to admire coral reef and conquer the rocky mountains on the island. From Quy Nhon, you will see a statue of General Tran Hung Dao pointing to the city. 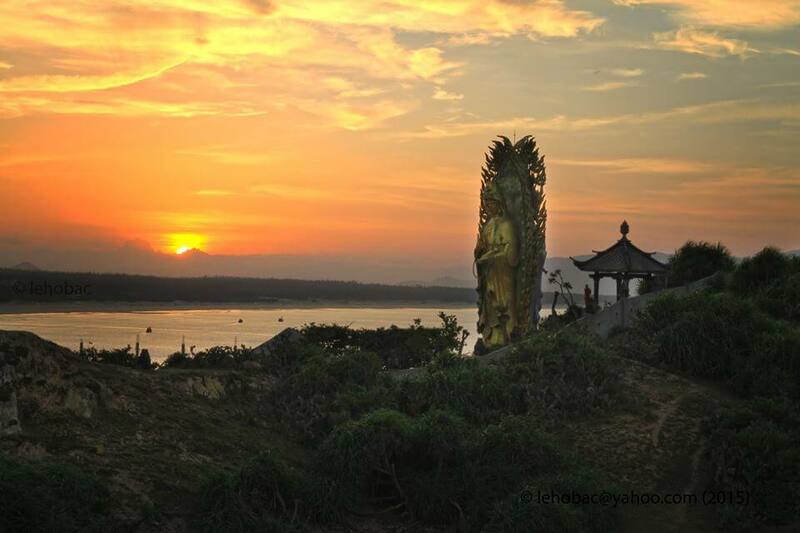 The place where this statue is located is a little-known peninsula called Hai Minh. 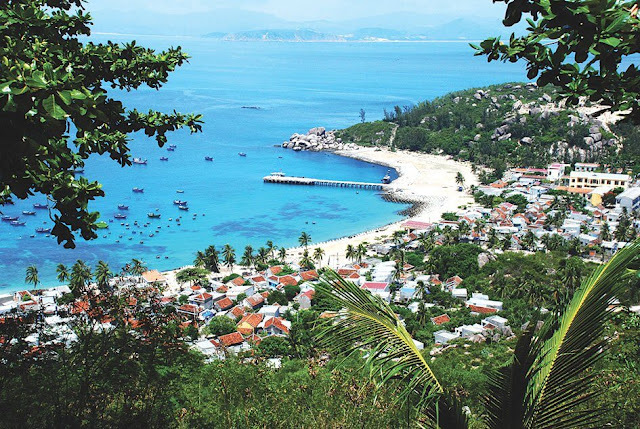 From here, you can see the panoramic view over the gentle city of Quy Nhon which lying back to Vung Chua mountain, facing the East Sea wind, Cu Lao Xanh is hidden far from the sea, Nhon Hoi sea bridge crossing the horizon beyond Thi Nai lagoon and connecting the mainland with Nhon Ly island commune. 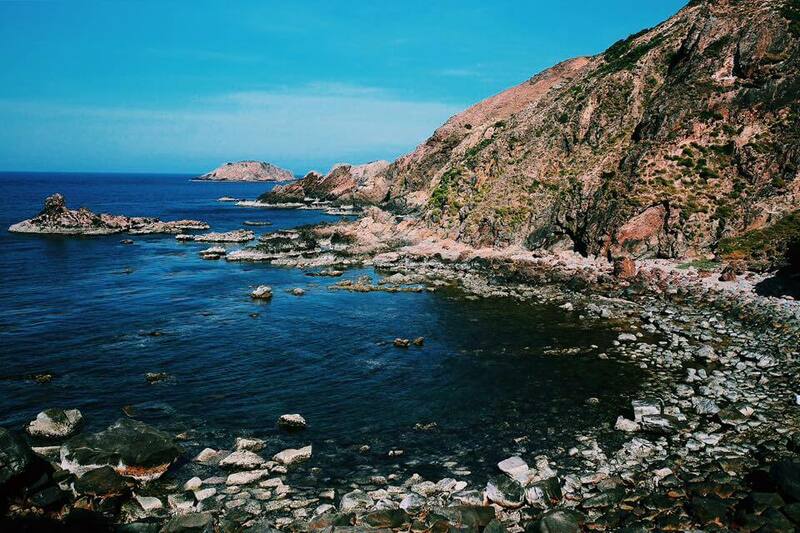 Behind the monument, there is a trail leading down to the hidden beach at the foot of the mountain. People call this place is Bai Ran (Reef beach) with smooth waves, beautiful wild scenery. You can spoil yourself under the blue cool water.